Timelapse video of a complete log cabin build by one man alone in the wilderness of Canada, from 1st tree I cut to last floor board I laid. If you want to build a rustic log cabin or tiny off grid home alone in the wilderness.At the beginning of the video, I show a winter drone photo of the cabin in the snow in December. Then I flashback to the first balsam fir tree I cut down with a saw and axe near the cabin. I drag the trees into place and clear the cabin site. 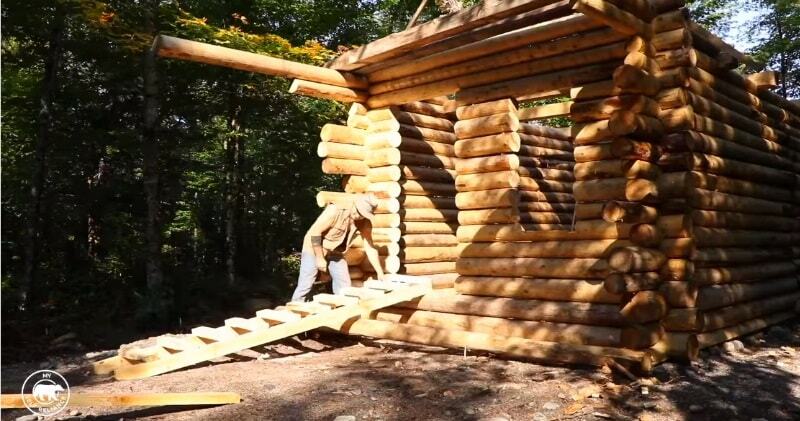 All summer, I cut the notches in the logs as I built the cabin up, offsite. 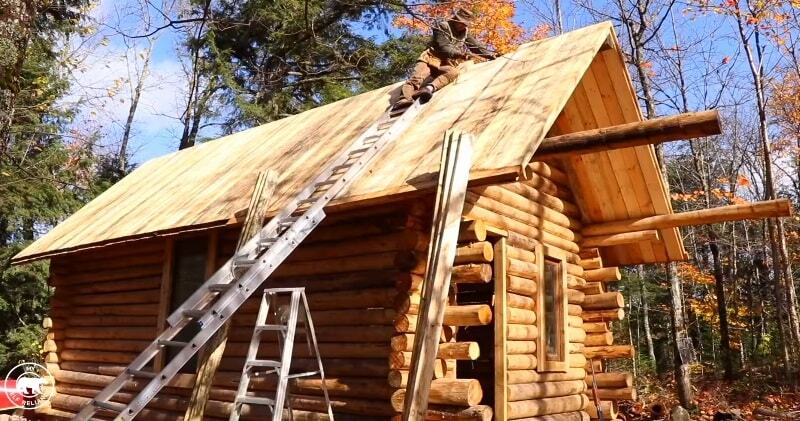 Once I was finished notching the logs with a log scribe, saw, axe, adze and wood carving gouge, I loaded up the entire cabin of logs and moved them to my land near Algonquin Park, Ontario Canada. For the roof, I used an ancient primitive technology to waterproof and preserve the wood – shou sugi ban, a fire hardening wood preservation technique unique to Japan and other areas in northern climates.Because the cabin is offgrid, I have used handtools for most of the build and without power, I have no options on site regardless. The tiny house will continue to be operated with power, not even renewable energy for now, so I’m heating the cabin with a woodstove fire place, which I also cook on.The cabin is made of cedar fence posts, twelve feet long and the cabin measures 10 feet x 20 feet inside with a one hundred square foot sleeping loft on the second floor.The floor is made of two inch thick pine planks, torched to help repel water and to give them a rustic barn board appearance.